Join us! 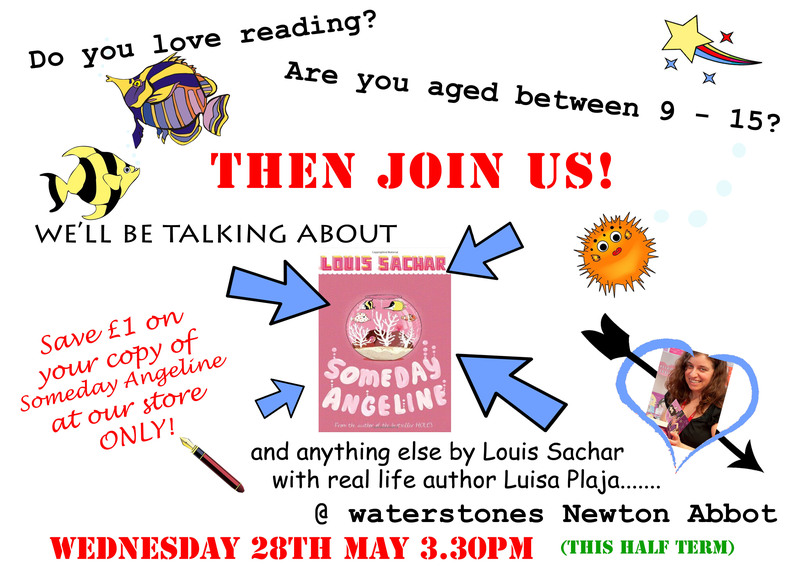 We’re meeting during the May half-term holidays at Waterstones Newton Abbot to talk about Someday Angeline by Louis Sachar, and lots more. Wednesday 28th May, 3.30pm.